Its been a long (and snowy) week but I’ve got something to make you feel better: Cinnabon Canada’s awesome coupons are back! Coupons for FREE Minibon made with Nutella with any drink purchase as well as 50% off of Large Take Home CinnaPacks. Coupons will be posted on March 7th 2016 and expire on April 3rd 2016. They are valid at all Canadian locations except OnRoute & Flying J Highway Travel Centres. Printed coupons are required to receive offers. Now who knew you’d be looking forward to Monday! 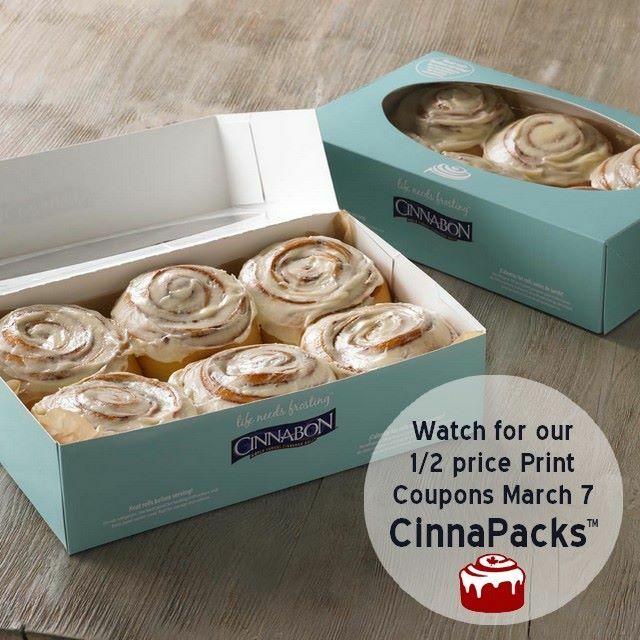 Click here for more information on Cinnabon’s coupons.